Gabrielle is a certified black belt. 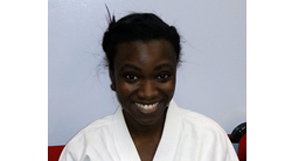 She teaches our karate kids and karate tigers classes. She is a junior in college working on a biology degree.